Stephen R. Estey is a member in Dykema’s Real Estate Department and has over 20 years of experience. Mr. Estey represents individuals, municipalities, small businesses and Fortune 500 corporations in all aspects of commercial and governmental real estate development projects. He has extensive experience in expediting land use entitlements, and resolving a wide variety of disputes related to zoning, planned unit developments, special land uses, variances, eminent domain, easements, adverse possession, boundary and title issues, and various regulatory and administrative challenges, among others. He handles a wide range of matters at the trial and appellate levels of state and federal courts, as well as administrative and municipal tribunals and arbitration, involving both business and real estate related disputes. For over a decade, Mr. Estey has handled hundreds of eminent domain proceedings for various energy industry clients including electric transmission providers and petroleum pipeline companies to secure the necessary property interests required for their capital projects. In this capacity, he routinely assists his clients with regard to legal and strategic considerations in the planning and siting of new transmission infrastructure and represents their interest in easement acquisition, contract negotiations, and condemnation actions. Mr. Estey also has extensive experience in the siting of wireless telecommunication towers under the Telecommunications Act of 1996 and frequently appears before local municipal boards and commissions in support of applications for construction of new towers and collocation. 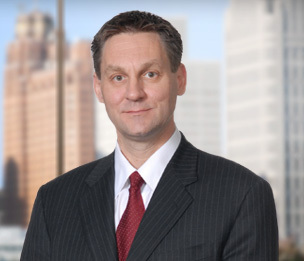 Mr. Estey is a member of the State Bar of Michigan Real Property Council and previously served as the Chair for the State Bar of Michigan, Real Property Section Zoning and Land Use Committee. Since 2013, Mr. Estey has been recognized in Michigan Super Lawyers and was recognized in 2018 by The Best Lawyers in America for Land Use and Zoning. "High Tension, A Look At the Current State of Vegetation Management's Battle Against Property Law"
"Conditional Zoning—A New Development Option For Property Owners And Municipalities"